For USA and UK Clients: Ships from US/UK warehouse and delivered in 1 week. - Pore cleaner through by high-frequency vibration to deep clean. Microcirculation while moving at high frequency, the fat cells burn, pyrolysis into metabolites excreted, so as to achieve the effect of deep cleaning. 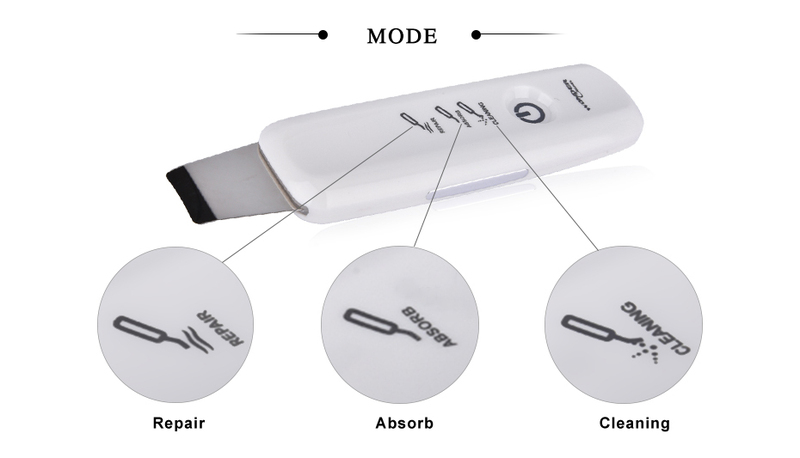 - The cleaning effect more quickly, more effective. Let your skin better absorption, the nutritional ingredients in never waste, make your skin more healthy and bright, permeability is better. - Every woman deserves to have one! 1. 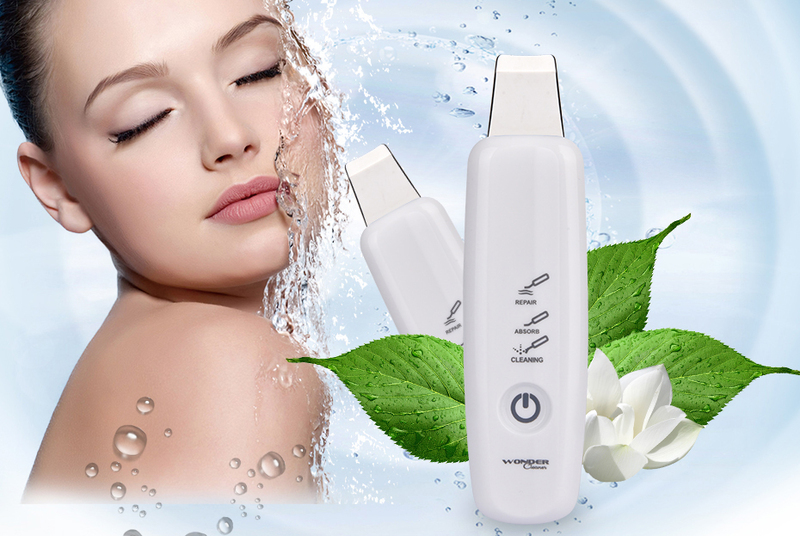 New design to remove dead skin and dirty on face by ultrasonic vibration. 2. Double functions of peeling keratin and lontophoresis for nutrition of cosmetics. 7. 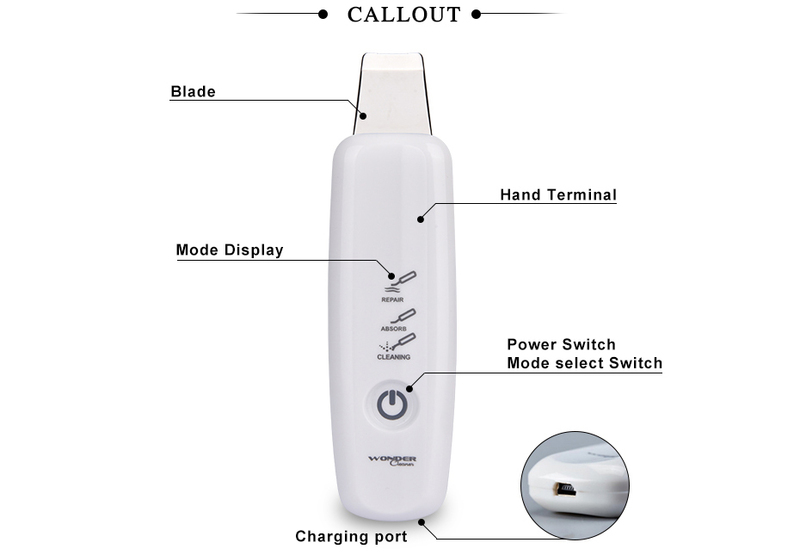 Simple operation but perfect effect, all functions can be operate by touching one switch. 8. 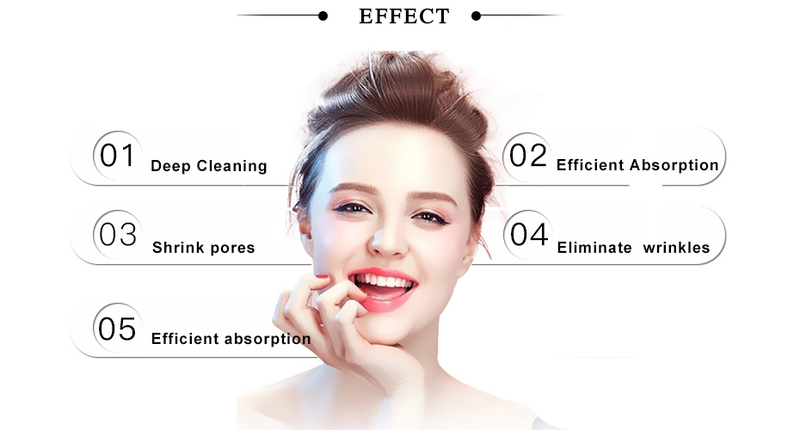 It is composed of three mode, soft peel and cleaning, lifting and nutrition. Step 1: After turning on the power, touch the power switch one more time, and the soft peel & cleaning LED will turn on. This means the mode is starting. 1. The item must be used with water or cosmetic cream. 2. Read user manual carefully before using it. 3. Do not use this device in injuries skin. 4. Do not use damaged power wire and wrap the power cord around the device when you storing, otherwise, it may cause deformation of the cord and device failure.